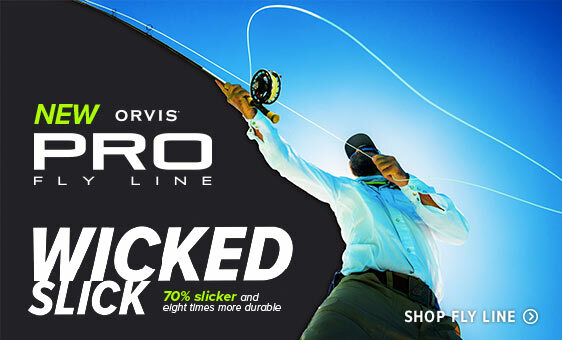 Drawing on a sporting legacy that stretches for more than a century and a half, Orvis is proud to equip anglers with the best fly-fishing rods, reels, clothing, and gear in the world. 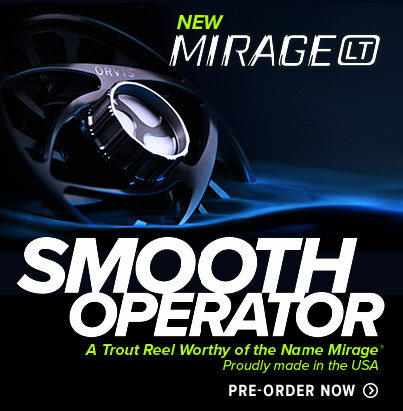 Since our company founder Charles Orvis developed the first ‘modern’ fly reel—a device hailed in 1874 as “the benchmark of American reel design”—we continue to bring innovation to the fore in our celebrated fly-fishing gear. It is this tradition that inspired our Helios 3 Fly Rods, representing a new frontier in accuracy and design. 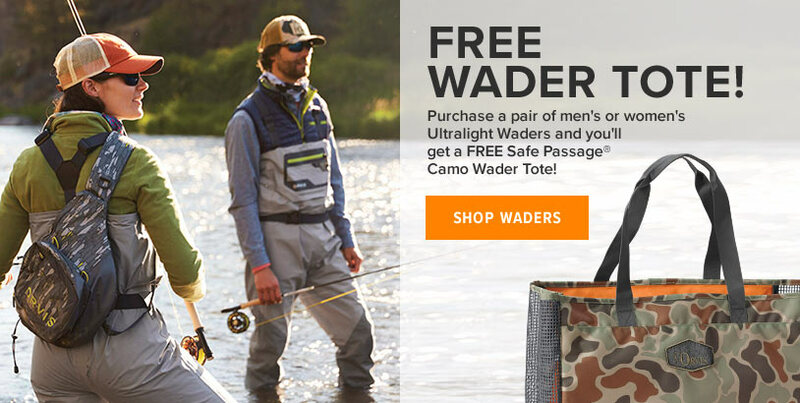 And it is the same tradition you’ll see in all our fly-fishing gear, from our award-winning Ultralight Wading System to the Safe Passage® Carry It All bag our CEO Perk Perkins helped design. 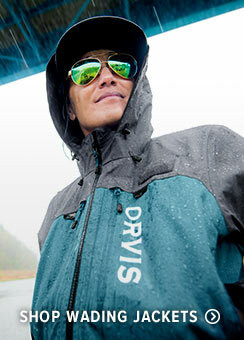 How Do You Choose the Right Fly-Fishing Gear? Determining the ideal fly-fishing rod, reel, or gear need not be a daunting task. 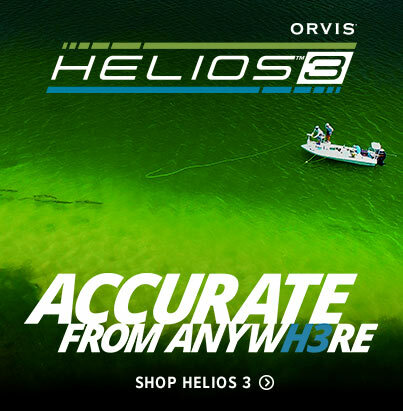 Discover a wealth of fly-fishing know-how in our Guide to Fly Fishing Resource Center, where you’ll find informative articles on fly-fishing gear and equipment, techniques, and tactics, penned by Orvis experts. Our convenient, step-by-step Fly Rod Selector takes the guesswork out of choosing the best fly rod outfit with the help of Orvis fly-fishing expert Tom Rosenbauer. Learn how to choose the right tippet size or fly line, so you can contend with murky water or spooky fish with confidence. Stock your fly box with remarkably lifelike patterns. We’ll show you how to tie up favorite recipes using our rugged fly-tying tools, materials, vises, hooks, and more. If you’d rather spend your time fishing than tying, we offer flies for every fishing scenario, so you can fool hungry trout and feisty tarpon with the buggiest patterns for salt- or freshwater applications—the fish won’t know who tied them, and we won’t tell. Discover the ideal gear to pack for your next fishing adventure. Our clothing and wading gear promise to keep you plenty comfortable—even in those early season days when Mother Nature can’t decide whether she wants to rain or snow. Let Orvis outfit you for your next day on the water, whether fly fishing defines your life, or you’re venturing out for the first time.